A Precious Moment, A Glorious Day! It’s a glorious season where a stunning day anticipates. This is the day that every child of God looks forward to. It changes their lives in every way. It brings joy and happiness on their faces, for a moment it makes them forget about all the worries that the world may bring. Christmas is the most beautiful day when we celebrate the birth of our Lord and Savior Jesus Christ. At Kampala Children’s Center we do it our away, a way that feels unique to us. All children anticipate fun as we go to church to give thanks to God. We do a lot of amazing stuff on this day. We dance, sing, act out in every fun way we can, play a catalog of games and yes, feasting! Plus a lot of amazing activities that leave everyone at their happiest. That’s not all, there is an incredible moment that is worth mentioning too, a time for presents! This really makes every child very happy and excited. 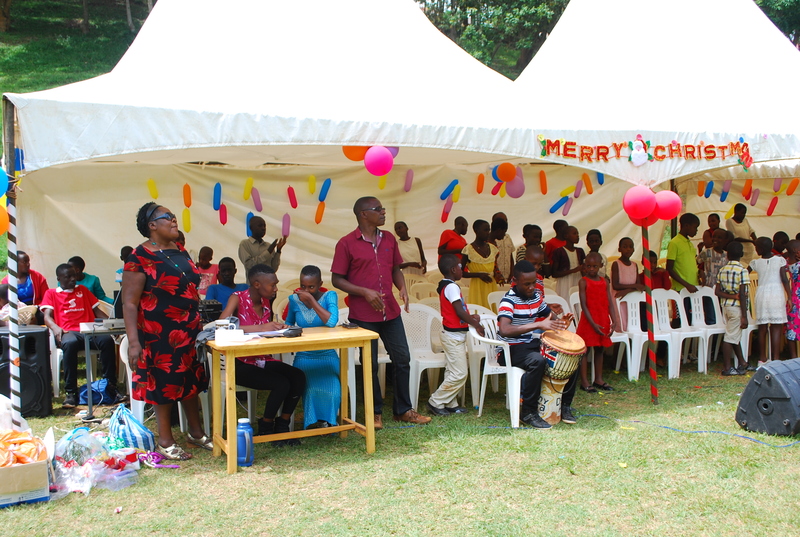 Thanks to the KCC house mothers, the staff and sponsors who bring smiles on children’s faces. This makes the children feel loved and cared for. What makes a KCC Christmas out of this world is simply spelt L.O.V.E! God loved us, the house mothers are loving, staff love and give to every child sacrificially, not to mention the sponsors and our Dad Arnold Muwonge, who loves and cares about us dearly! Love, love, love; we are LOVED by an Amazing Love! WISHING YOU A LOVE FILLED CHRISTMAS. TAM is a teenager with a strong connection to KCC.